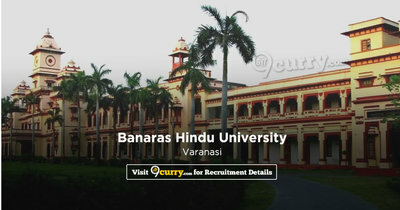 BHU Recruitment 2019: Banaras Hindu University (BHU) / www.bhu.ac.in is conducting recruitment processes to fill 17 vacancies. As of now, there are eight recruitment drives going on for JRF Post, JRF Post and others. BHU Recruitment 2019 - Walk in for 27 Teaching and Non-teaching Posts in BHU, Uttar Pradesh. Candidates are invited by Banaras Hindu University (BHU) to attend walk-in-interview to be held on 07 Mar 2019 08:00 AM for 27 vacancies.